FROZEN is definitely one of our favorite movies, and the music is almost playing nonstop. 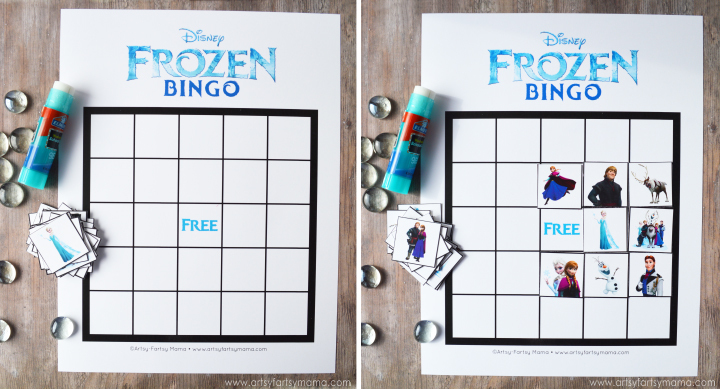 Since we can't possibly be the only ones who love to belt out "Let it Go" along with Elsa, I've created a free printable FROZEN Bingo for you all to play! 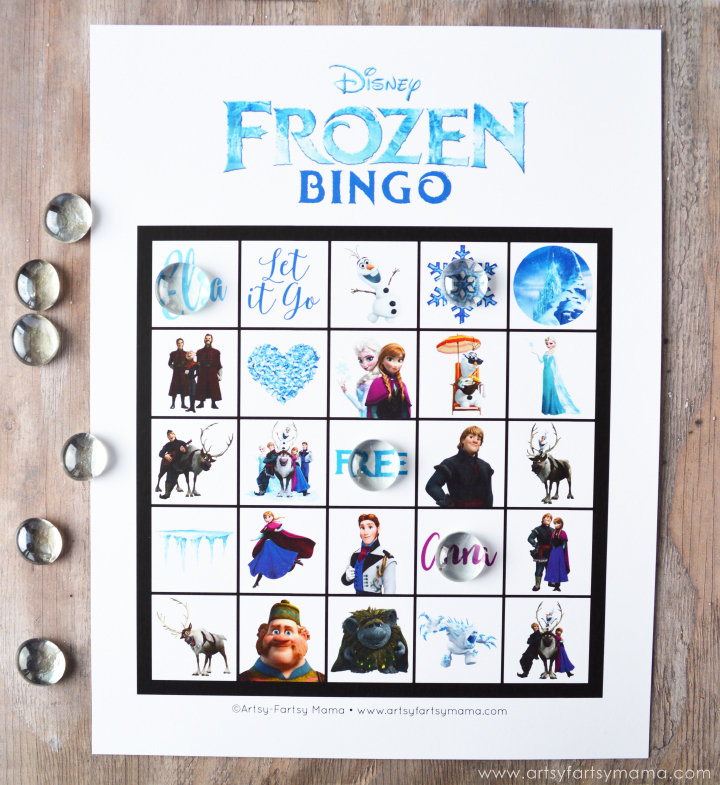 FROZEN Bingo includes all of your favorite characters like Elsa, Anna, and of course, Olaf! The bingo set includes eight bingo cards, so it's easy to print and use for your parties. It's fun for every age to play, and the calling cards include the names of the characters in case you don't know who they are. The blank set works a little differently. You get one bingo card with empty spaces (except for the "free" spot). Then, you print and cut out the bingo pieces so you can assemble the bingo cards yourself! Just glue the pieces in place, and you're ready to play! This is a great option for little hands that want to be creative, or if you have a larger group of people and don't want multiple cards that are the same. The blank bingo set includes all the same characters as the full set, but you can create your own bingo card setup. 3. Have one person choose a calling card and say it out loud., call it out or have each child mark it as they see it. Each player will cover that item on their card with a marker. To lengthen the life of the prints, I would recommend printing the bingo cards and calling pieces on cardstock. All files are 8.5x11 inches and put together in a single PDF format. Have fun!! Would love to hear from you if you play using my printable! If you have any bingo ideas you'd like me to make in the future, please let me know! Thank you for this! My 3 year old's bday is in a few days and she is going to love playing this with her little friends. Thank you so much for making this! My daughter is having a frozen birthday party tomorrow and I realized that I didn't have enough games! You just saved me a ton of work and your's look 1000 times better than mine would have! Thanks again! !